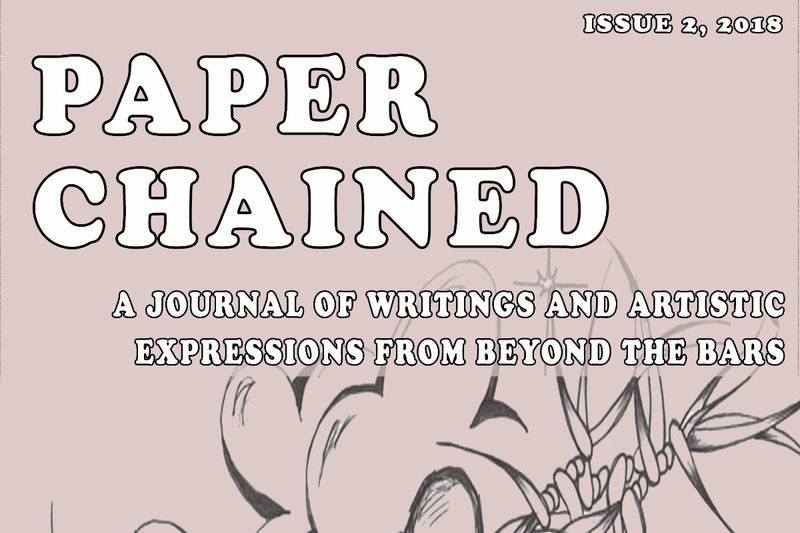 Paper Chained is a journal of writings and artistic expressions from people affected by incarceration. The first issue was released in 2017 and was funded entirely by an individual dedicated to the cause. In 2018 we raised $350 through crowd-funding to support the costs that year, and we're calling on the community to support us once again so we can keep the journal going in 2019. These journals offer a space for people affected by prison to share their creative voices and their stories, it would mean so much to us to continue to offer this platform. Our annual costs are low but we can't manage them on our own and would really appreciate broader support. Our costs have jumped up significantly from last year, as we are now currently distributing the journal to 25 people in prisons in Australia, New Zealand and the United States, and we receive new subscriptions to the journal regularly. We would also like to provide free copies of the journal to community centers, libraries and book stores - something we have not yet been able to afford. Each journal costs approximately $5 to print, and $2-$10 to post depending on destination. The costs add up very quickly even for a small subscription base! Running the journal also requires the lease of a PO Box to make submissions of writings accessible to those in prison ($132 per year). This journal is an autonomous publication collated and distributed by the Running Wild collective.